Home Press Articles BullHorn: Awesome Moving Company Helps Women Leave Abusive Homes at No Cost! BullHorn: Awesome Moving Company Helps Women Leave Abusive Homes at No Cost! Leaving any abusive situation is emotional and traumatic, but imagine how difficult of an ordeal it might be when one has to pack and move, too. Thanks to a moving company in California, women – or men – seeking to leave an abusive living situation no longer need to face the daunting task alone. 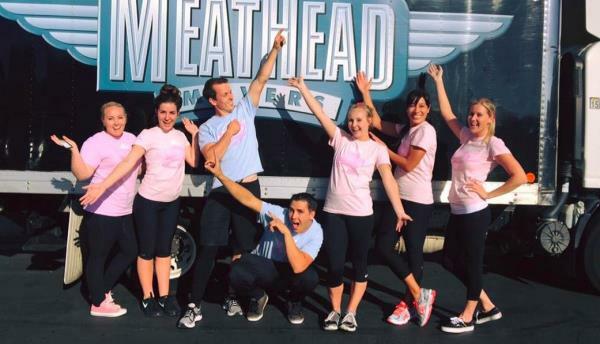 Aaron and Evan Steed, the owners of Meathead Movers, have helped hundreds of women leave homes in which they were abused by a partner. The two first started their business in 1997 as high school athletes seeking to make a bit of extra cash. Back then, their fee was about $20 and a pizza. But since then, their business has grown, and with it, the type of clientele they work with. When the pair began getting occasional, frantic phone calls from women with little or no money who needed to move out before their abusers returned home, they decided to get involved and assist those in need – free of charge. The good samaritans always declined any compensation and rushed to the address to load the frantic individual’s belongings. As you might imagine, some situations have been less than peaceful. In 2000, a situation turned volatile when the abuser came home in the middle of the move. It was then that the company decided it had to ensure everyone’s safety. Their solution was to partner with a local women’s shelter. Since the year 2000, the company has expanded into Santa Barabara, Ventura, Orange, Los Angeles, and San Diego counties. Reports GoodNewsNetwork, whenever they open a new office, within the first week they’re sure to visit a local women’s shelter and offer to partner. The moving service isn’t just limited to women, either. Man or woman, any victim of domestic violence is offered the same aid. The company is now asking other moving companies to “get creative” and help victims of domestic violence – free of charge – as well. Their campaign #MoveToEndDV aims to inspire others to rethink how they can work with shelters, or help women as they try to rebuild their lives and move into their first home or apartment. The company’s goal with the campaign is to inspire 100 new stories of businesses offering services and form a like-minded community of collaborators. To date, they’ve already received pledges from stylists for free haircuts, from a realtor offering rental searches, and a counselor who has offered to help. This is the kind of positive news that deserves to go viral. Comment your thoughts below and share this article!